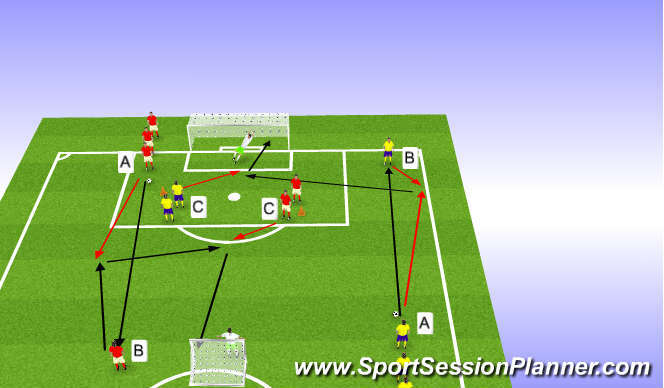 Set Up: As in the diagram - two group of the same number of player - One ball each player. 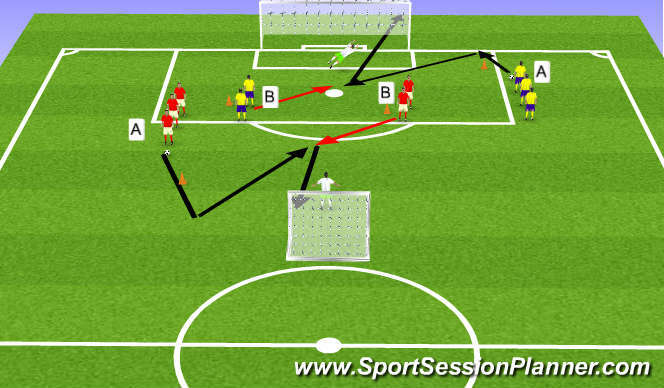 The player A after dribbling the ball to the cone pass the ball diagonally to the player B. Player B try to shoot at goal placing the ball on the bottom of the corner. Coaching Points: Timing - accuracy shot - Body position. Coaching Points: Body position - accuracy of shot - shot selection - awareness of GK position. Coaching Points: Timing - Accuracy - Delivery - Coordination. 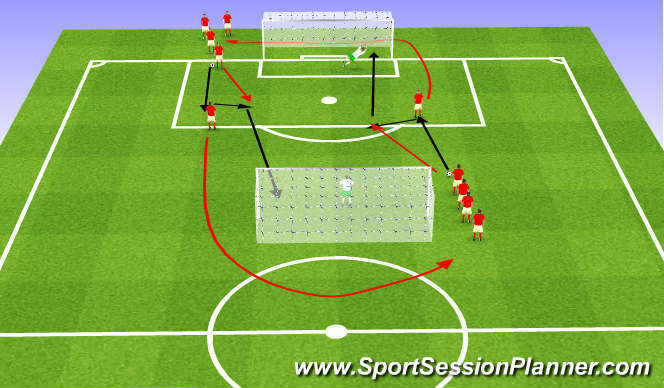 Set Up: As in the diagram - 2 teams of the same number of players - as many ball as you can - play 2 touch. 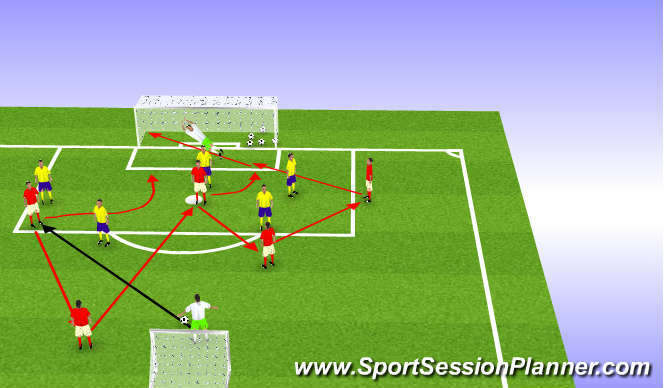 Coaching Points: Find the space to receive the ball and shoot in goal.